BMW is a famous super bike manufacturer company in the world and the BMW motor bike manufacturing company is going to launch the latest models of motor bikes by the year of 2011 with the segment of touring bikes in India. These bikes are also launched in the international automobiles market. The three most popular series of BMW are “R” Series and “K” series. The motor bikes are like K 1300 GT, K 1600 GT, and K 1600 GTL. Those bikes are designed in such a way that can be provided the maximum safety and comfort in long distance journey and these touring motorcycles will be equipped with the latest and advanced features. The BMW manufacturing company has collaborated with the most popular radio of German is named as SIRIUS XM radio. The production service of these bikes with including features will be starting from January 2011. According to this collaboration of BMW with german company, the SIRIUS radio pack will have all the equipment and components to be equipped in these bikes. The feature of satellite radio will be providing to bmw bikes just only for one year due to their collaboration with the company. These versions of BMW like k 1300gt, k 1600gt and k 1600gtl has come for the first time with the latest and most advanced features of 6-cylinder in line power unit, which is developed in-house. 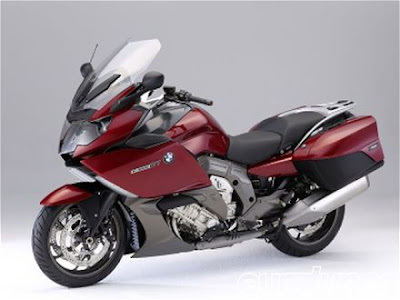 These latest BMW bikes are actually specially prepared for the travels and these are also known as touring bikes and have a supreme, impressive and equally distinctive appearance, these features of BMW bikes are going to attract the user in the first sight and urge them to have a desire to travel at first sight. These advanced feature based BMW motor bikes are so perfect that they are running so smoothly though they also offer supreme output and torque, it provides the experience of smooth riding. 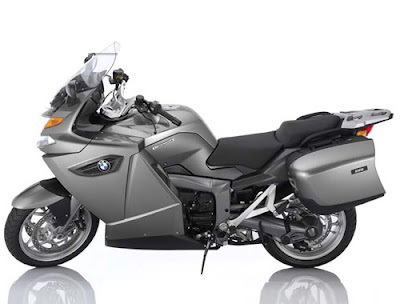 The key criteria of these BMW supreme feature bikes are safety, equipment and comfort, prestige and dynamic performance. The most advantage to have this newly launched BMW bikes are that they have the dual edition as the low weight of engine and the consistency light in weight; it provides the construction of the vehicle as a whole contribute to the low weight of the vehicle. These three newly launched BMW bikes are going to rock the market very soon. Nice post. India is a growing country for all kind of Industrial Machines, We are doing all kind of industrial application where Gears is our USP from passed 60 years. We are leading Gears Manufacturers in India, We are specialized in all type of Gears for almost all type of industrial application like industrial gears, marine gears, defence gears, power gears etc. There are so many Gears Manufacturers in all over India where We are supplying huge quantity gears in all over world from India.